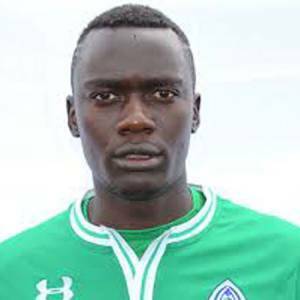 Kenyan professional footballer, Haron Shakava currently plays for "Gor Mahia", a football club based in Nairobi, Kenya as a defender. He has played for the club, Kakamega Homeboyz F.C, and Kenya National team as a defender. At the age of 25, Haron earns a monthly salary of Kshs 70000 to 85000 from his current club. Regarding his personal life, he is possibly single and unmarried. Haron is one of the noticeable footballers in Kenya. He currently receives a monthly salary of 70000 to 85000 Kshs from his present club, however, he has not revealed the exact figure of his net worth. Looking towards Haron's fancy lifestyle, we can assume that he must have thousands of dollars. With his tremendous wealth, he is living a lavish and luxurious life and his income is increasing daily. Haron Shakava is unmarried to this date. When it comes to his personal life, Haron is quite confidential. Information related to his love affairs is still the subject of curiosity. Haron Shakava prefers to keep his personal matters undisclosed. As per our record, Haron is single and unmarried. Haron seems to be too much concerned about his career and so far he has not been reported to have indulged in any love affair. As a famous football star, Haron Shakava has attended a lot of interviews but he has not mentioned being in a relationship in any of his interviews. There is no hint about Haron's love affair. Currently, he is enjoying his singlehood and is only focused on his developing career. Haron Shakava was born on November 26, 1992, in Kenya. He was born in a working-class family and spent a long time of his life in Kenya with his siblings. Regarding his nationality, he is Kenyan and belongs to black ethnicity. In 2013, Haron Shakava played for the Kakamega Homeboyz F.C for a couple of months. Thereafter, since 2014, Haron plays for "Gor Mahia F.C" in the Kenyan Premier League. He has won the Kenyan Premier League 2014 with his team Gor Mahia. Haron Shakava took his first step in the international football league on July 4, 2015, through the "Kenya National football" team in a second match of the 2016 African Nations Championship qualification against Ethiopia. The match ended with a draw where the team couldn’t score. Later, on October 7, 2015, Shakava played in the first round of the 2018 FIFA World Cup qualification against Mauritius, where he scored a goal for his team and Kenya won the match with 5-2.